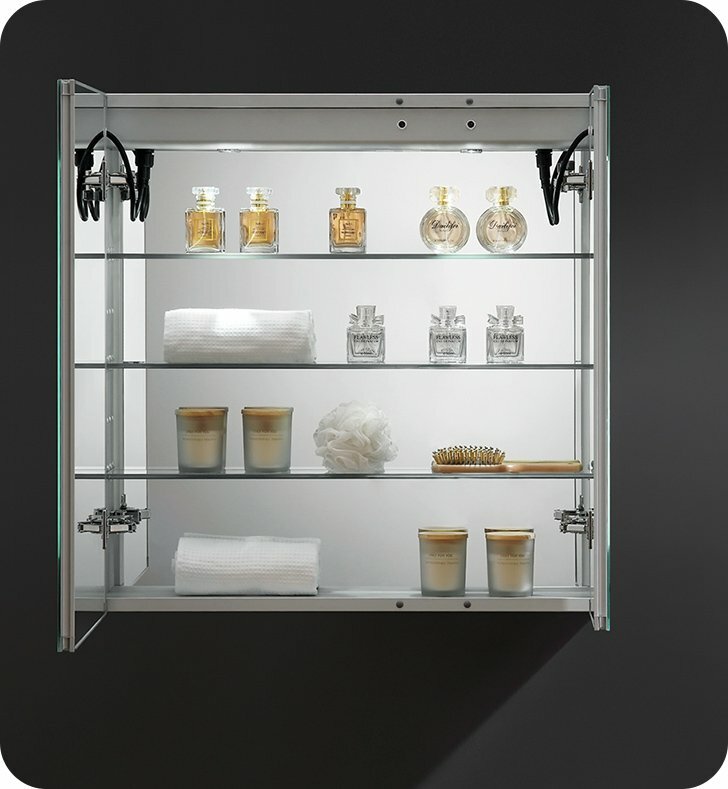 This stylish Fresca Bathroom Medicine Cabinet meets the demands of today’s busy lifestyle, putting modern convenience right in front of you. 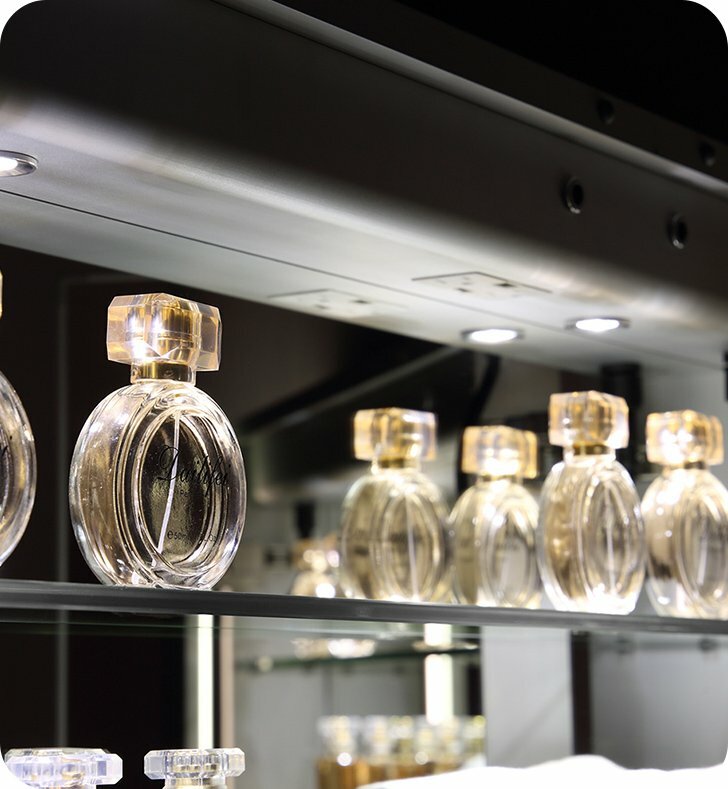 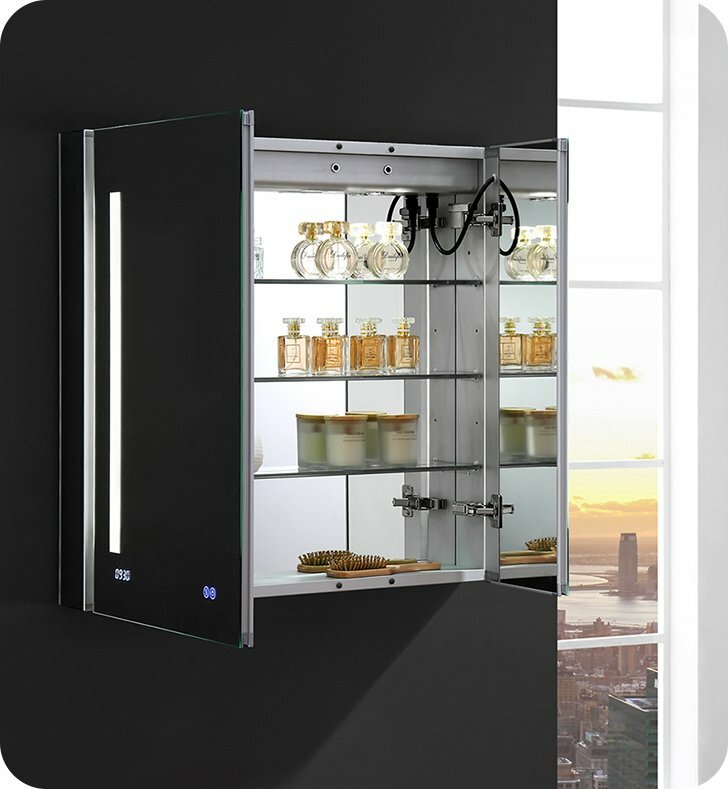 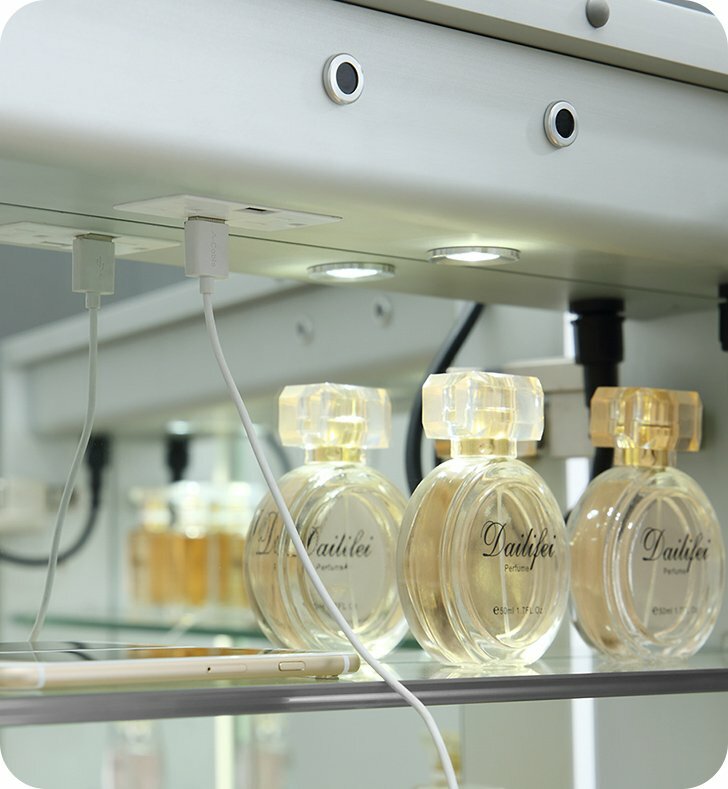 On the outside, it’s a sophisticated, frameless mirrored medicine cabinet with touch switches for a built-in dimmable surface LED task light, as well as a defogger. 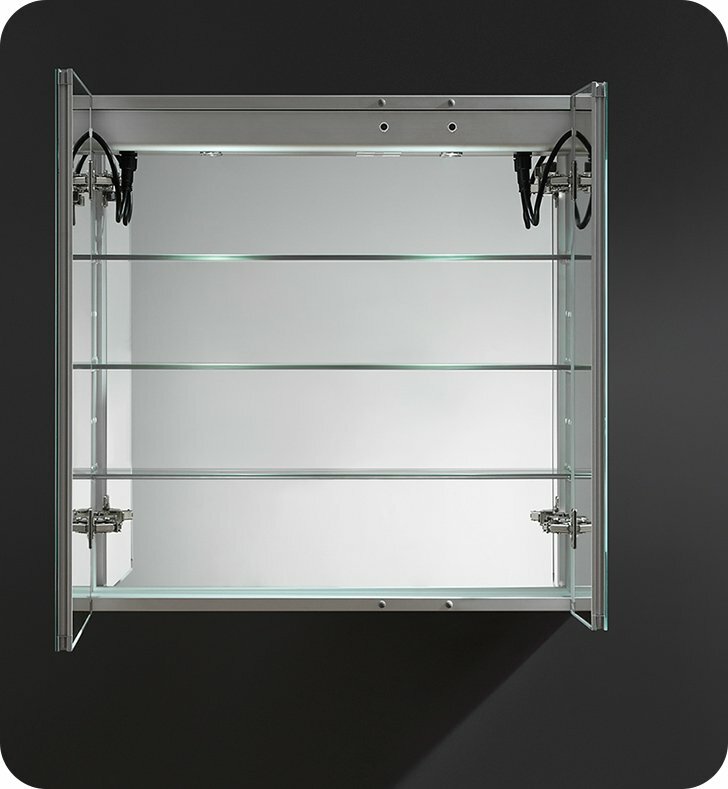 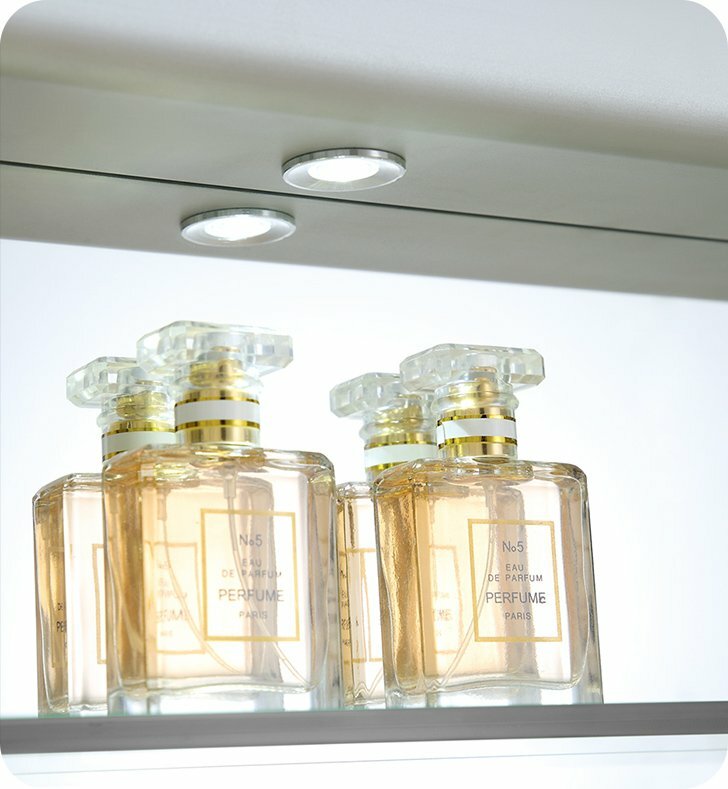 Inside, you’ll find three adjustable glass shelves ideal for holding items of varying sizes. 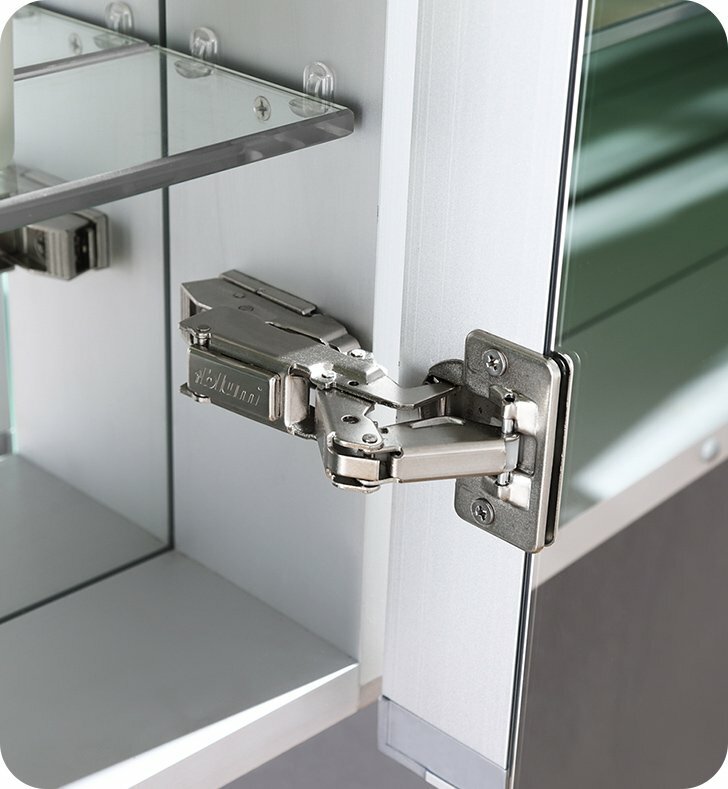 The double-sided mirrored door swings right on soft-close BLUM hinges and the back wall of the cabinet is also mirrored. 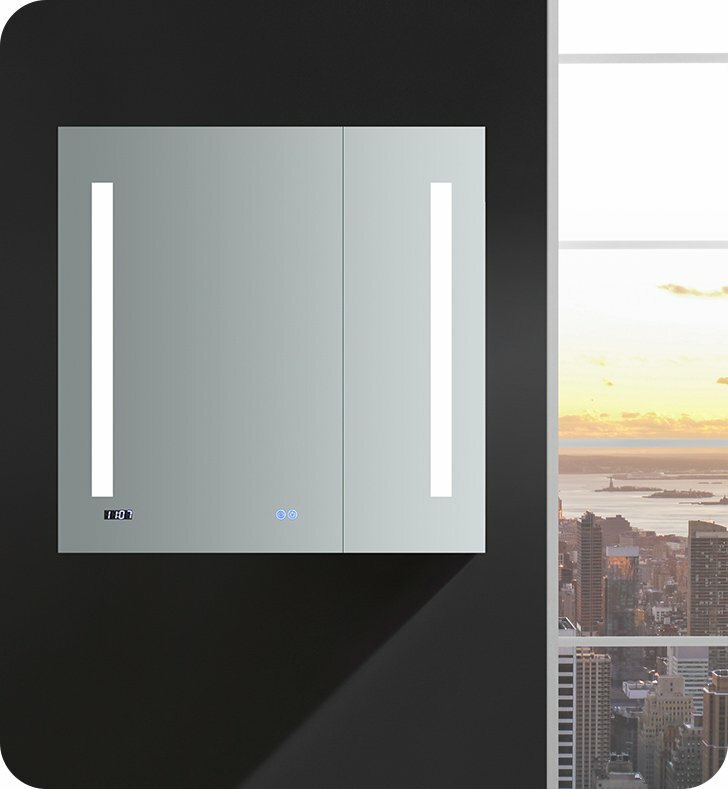 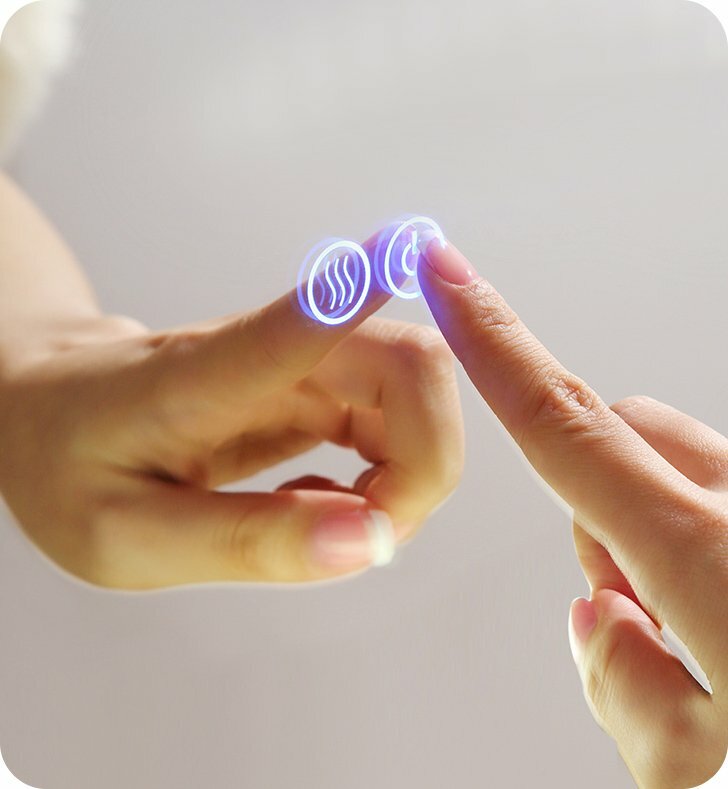 There’s an infrared touch switch for the interior LED light which allows you to find what you’re looking for at any hour. 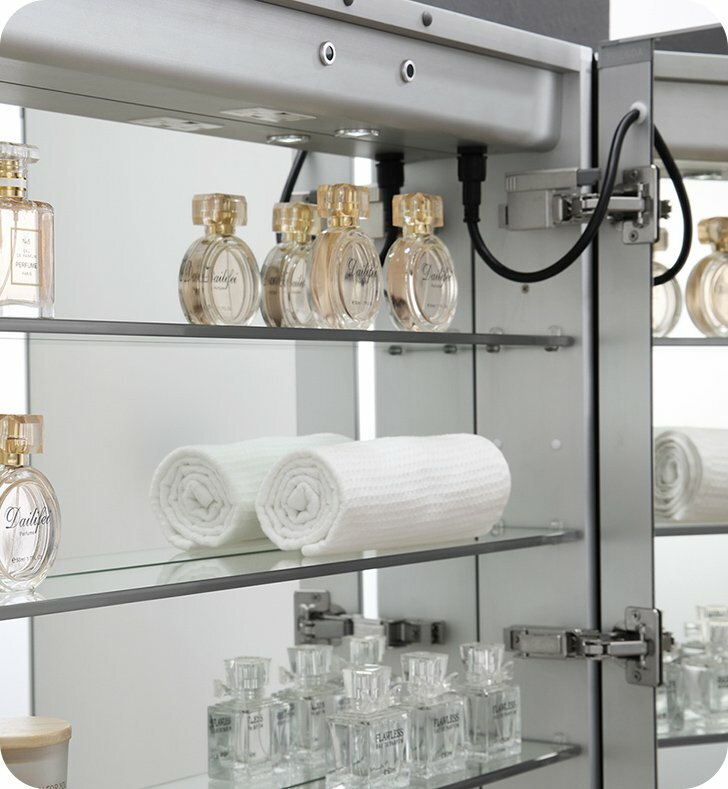 There’s also a handy electrical/USB outlet combo inside for an electric shaver, toothbrush or other essentials, making your morning and evening grooming tasks easier than ever. 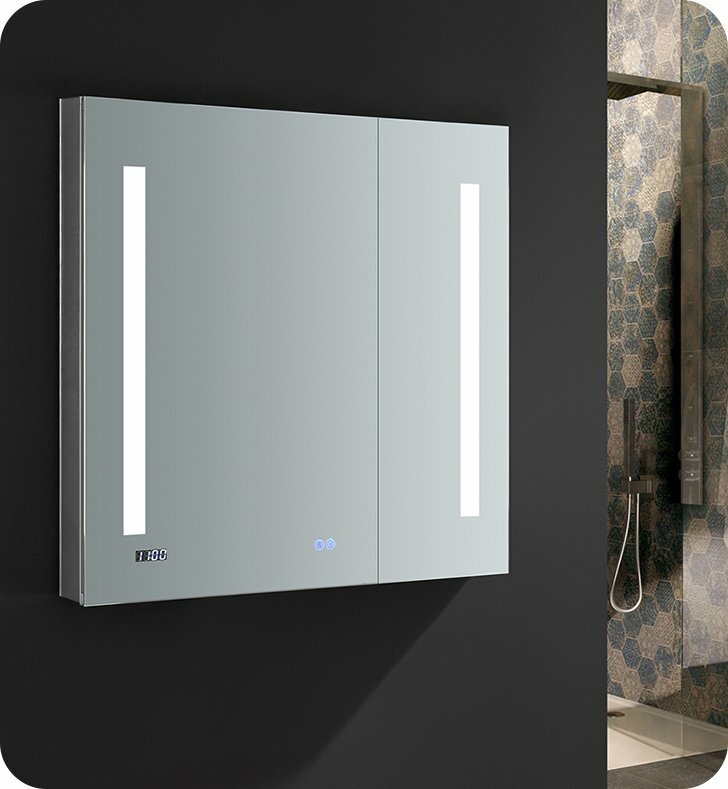 A brilliant combination of elegance and convenience, the simple frame and neutral tone of the Fresca Bathroom Medicine Cabinet will beautifully complement any décor. 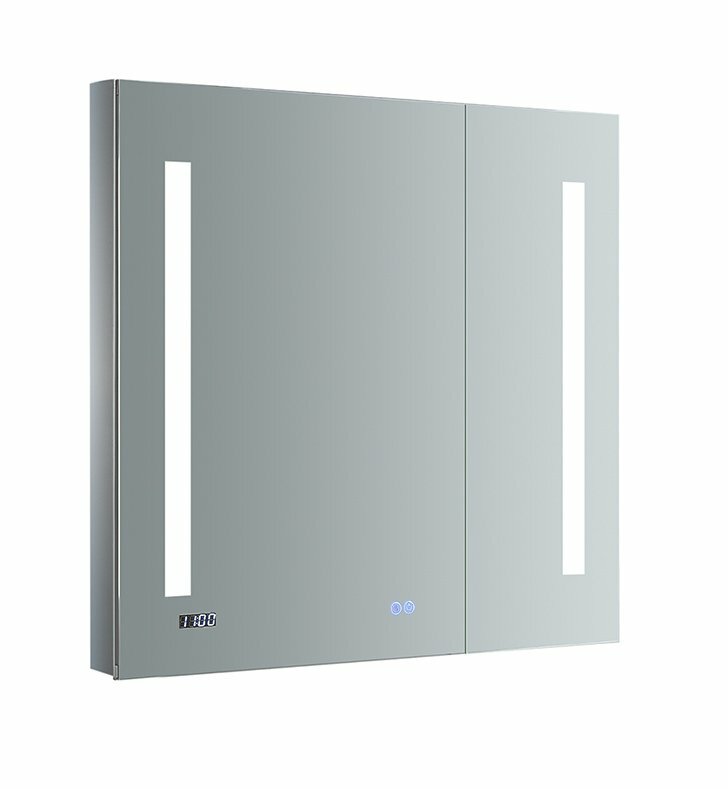 It can be wall mounted or recessed and features an anodized aluminum frame which creates a moisture and dust resistant interior. 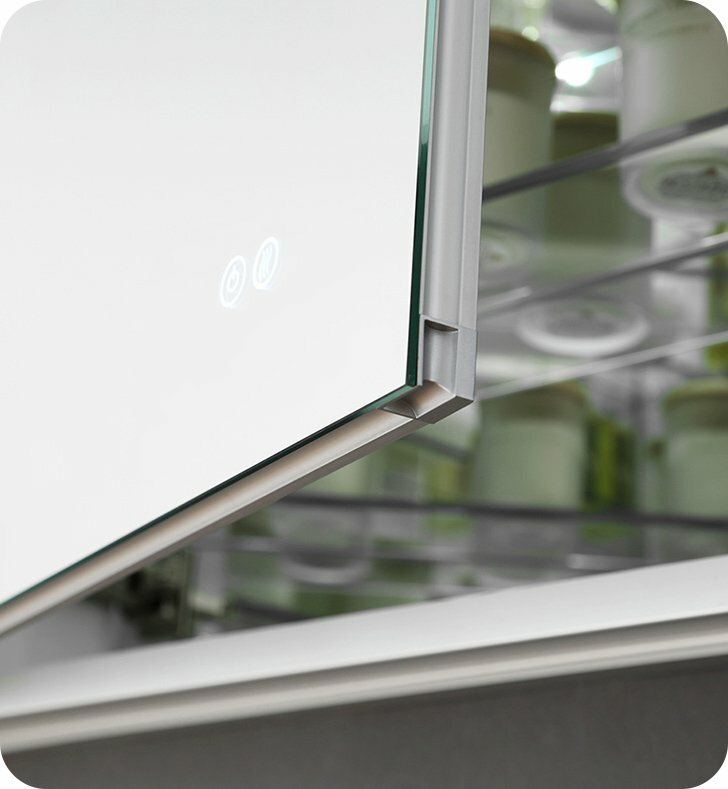 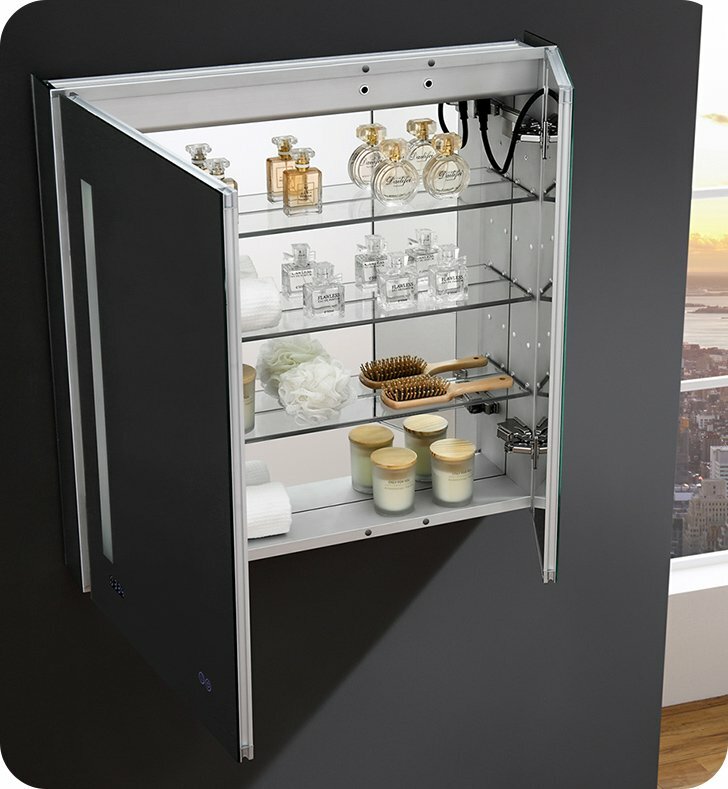 The mirrored door has plastic corners and the popular BLUM hinges offer a 170 degree swing. 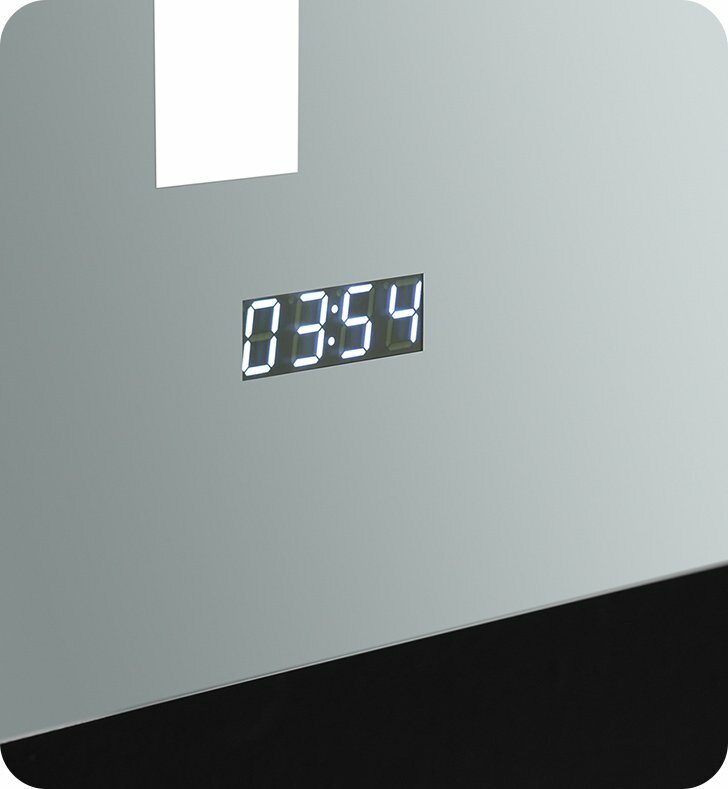 In addition to all of these great features, this style is equipped with a digital clock option. 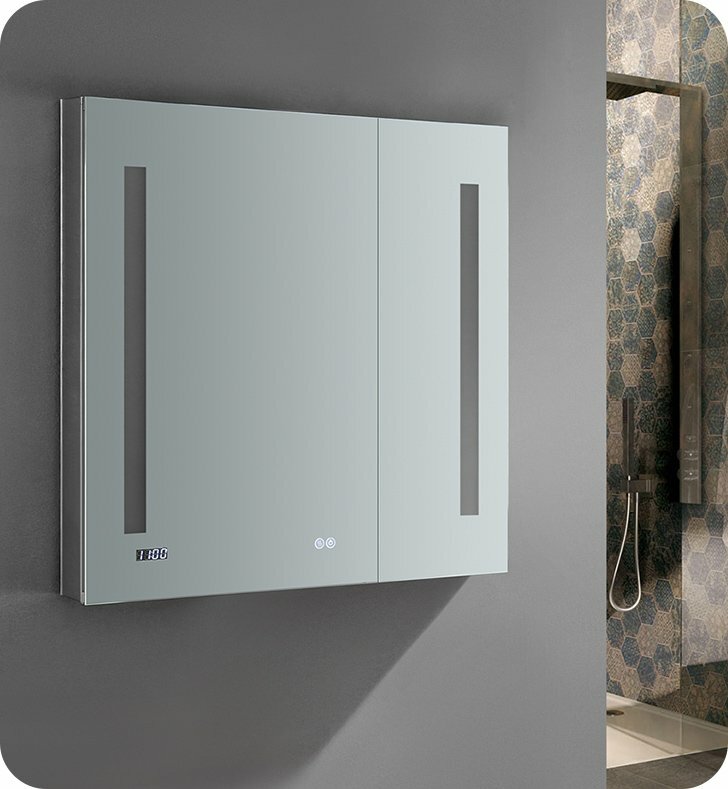 Dimensions: W 30" x H 30" x D 5"
Pros: Modern, looks great, light, defogger and clock great to have in bathroom. 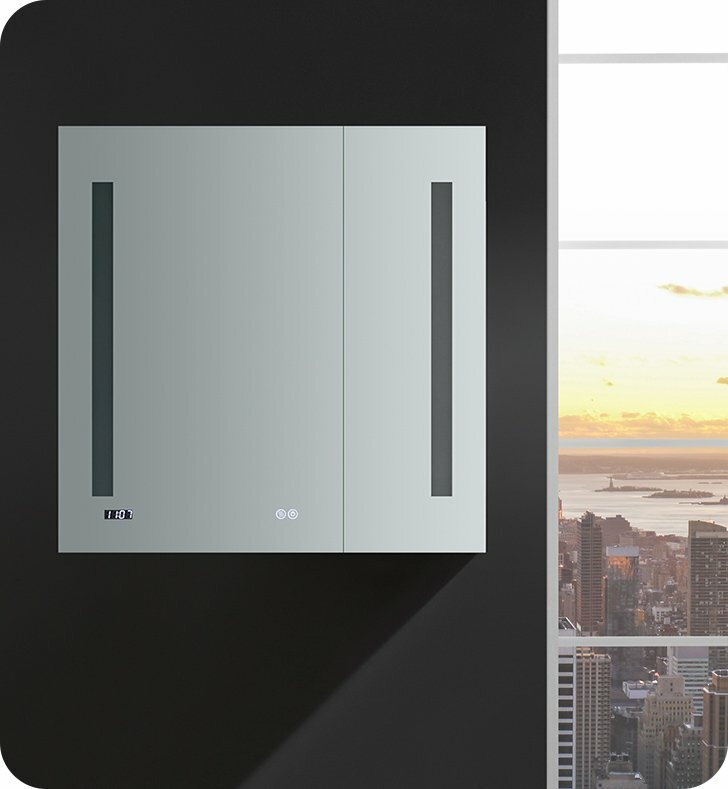 Had a problem with right door LED not working properly after 5 months - they were unable to troubleshoot & fix, but DecorPlanet was very helpful and did send me a brand-new cabinet.